Luminous, mesmerizing color options, Pine Cone Hill's Patina Velvet throw and decorative pillow make an impression. 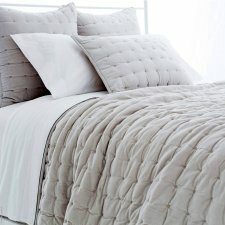 Crushed, quilted, silky-soft velvet front is backed with a dyed-to-match satin back. Crafted by artisans committed to fair-labor practices. Throw: 50 x 70 in. Hand wash. Hang to dry. See product label for exact care instructions. Luminous, mesmerizing color options, Pine Cone Hill's Patina Velvet throw and decorative pillow make an impression. 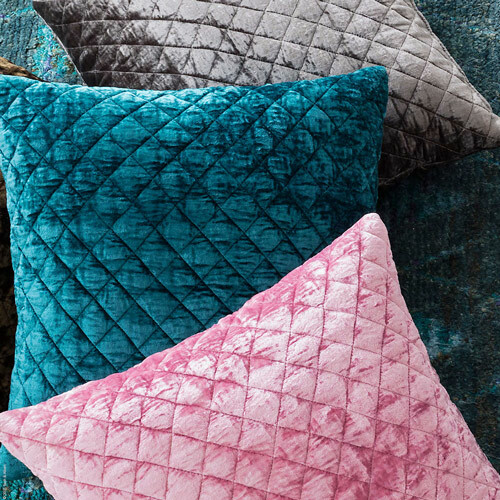 Crushed, quilted, silky-soft velvet front is backed with a dyed-to-match satin back. Crafted by artisans committed to fair-labor practices. Throw: Front: 100% viscose / Back: polyester Pillow: 100% viscose Many colors Throw: 50 x 70 in. Pillow: 20-inch square; zipper close Throw & Pillow: knife edge finish Made in India Hand wash. Hang to dry. See product label for exact care instructions.